Every individual around the world is looking to earn money by doing a business world-wide. Ofcourse it creates a healthy relationship and unity in sharing thoughts, but how to deal with foreign languages? This is where translation comes in picture and we do have a number of outsourcing companies who can translate any material related to business. Outsourcing is a part of business and translation helps to translate ideas into customer’s language. Hence, people are finding a better option in selecting translation companies who could translate Hindi to English Translation Services and English to Hindi Translation Services. Quick Transcription Service offers Hindi Transcription and Translation Services. Hindi is the national language and one of the official languages spoken world-wide. Over 490 million people speak Hindi. 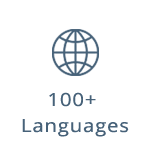 There are number of Hindi Translation Companies that offer Hindi translation service which includes Hindi English translation services and English to Hindi translation services through Professional Hindi Translation. Quick Transcription Service helps converting the following languages to Hindi and vice versa, through Hindhi Translation Services. Quick Transcription Service is the leading service provider in Hindi Translation. Quick Transcription Service helps clients ease their workload by simply having clients UPLOAD FILES in any format that needs to be translated to Hindi or vice versa. We ensure quick turnaround time through Online Hindi Translation Services. Quick Transcription Service serves to be the one stop solution for all Transcription and Translation needs. What can I find services that provide the best Hindi translation & voiceovers? What company provides Hindi translation for a diploma and a certificate? Do you translate audio files from Hindi to English? Where can I get translating services for Hindi documents? Where can you find an audio translator to translate English to Hindi online? Where are the translating companies that have services to translate Hindi movies? What are the rates for translating Hindi to English? Where can I find a language translator from Hindi to English online? Where can you find a Hindi audio translator for speech to text? How can you find a Hindi translator & translation agencies? Where can you find companies that translate book from Hindi to English? How can I get a translation from Hindi to English? How can I receive an English translation to Hindi? Where can I get a certified translation service for Hindi, English? What is the rate of Hindi video transcription?